The Porsche Taycan will come to the market as one of the company’s most highly-anticipated models ever. It’s an important car, too. It has a fully electric powertrain and the rumors say 600 hp. It will have a range of around 310 miles and can charge up to 248 miles worth of its battery in just 15 minutes. According to Autoweek, its 0-60 mph time should be 3.5 seconds and 124 mph should come in a quick 14 seconds. Not good enough? What about a GT3 version? 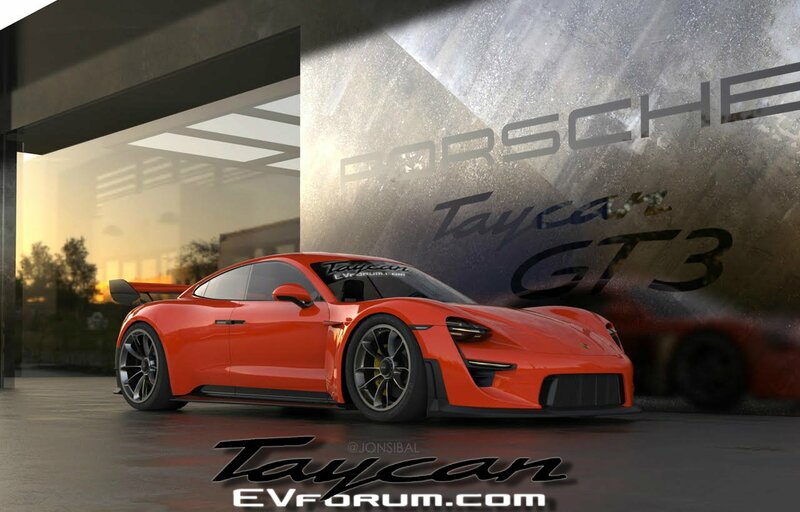 A new rendering from Porsche Taycan EV Forum shows what the model could look like. It’s stunning, and if Porsche is paying attention it should take note. Will There be a Taycan GT3? The Taycan will debut later this year, and when it does Porsche will have three versions of the vehicle. The Taycan, Taycan 4S, and Taycan Turbo. Because the vehicle is a fully electric machine and therefore can’t have turbos, we’re not really sure why Porsche will call one of the versions the Turbo. The Turbo designation will likely just be for the higher-performance model. However, it seems that Porsche could have just come up with a different name, one that would have made sense. Anyway, the Taycan should be a riot on the road with that kind of horsepower, and it will show what Porsche plans to do as cars transition away from fossil fuels. With all that said, I sincerely hope the company chooses to make a GT3 version of the Taycan, and when that happens, I hope it looks as good as the rendering shown above. The model gets a revised front end with a new splitter, front fascia, and grille. The rear has a big wing on it. It looks fantastic, and with the interest in this model Porsche should consider something like it.